For the first time in several years, VCU’s proposed budget does not include a tuition increase for undergraduate students. The plan was introduced at the Student Tuition and Budget Forum at the Student Commons Monday. The Tuition Affordability Plan, which is part of the proposed 2019-2020 budget, allocates money from the state to reduce the need for a tuition increase. If the Board of Visitors approves it, it will keep undergraduate tuition for in-state students at $12,094 and out-of-state students would continue to pay $32,742. VCU Senior Vice President and Chief Financial Officer Karol Gray presented at the forum with other senior administrators in attendance. Gray said she thinks the budget will pass with little resistance. Gray said the university’s administrators, Gov. Ralph Northam and the General Assembly compromised to get VCU $6.8 million to offset the tuition increase. The increased state funding also allocates $3.4 million to undergraduate financial aid. Gail Hackett, provost and senior vice president for academic affairs, said the university previously raised tuition to offset a lack of adequate state funding. “This year, the state has elected to give us enough money to where we were able to balance the budget and freeze tuition,” Hackett said. The proposed budget includes an increase in faculty and staff salary by 3 and 4 percent this year and next, respectively. It also includes a faculty salary increase to match a statewide 5 percent increase for K-12 teacher salaries. Faculty can expect a pay raise if the proposal passes. Infographic by Ryan Rich. 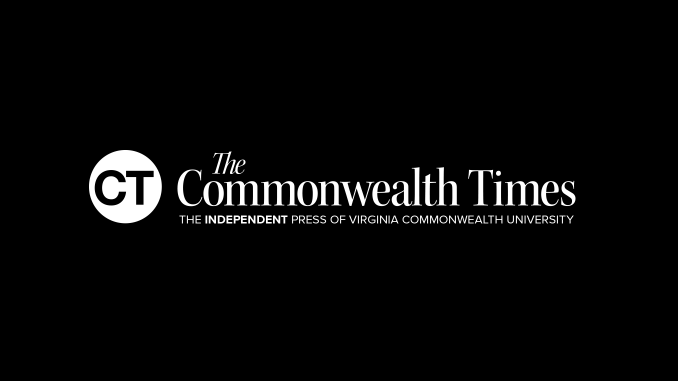 VCU faculty salaries are $26,619 lower than other Virginia public research universities on average, according to figures presented at the forum. The proposed budget increases faculty salaries by 3 percent in 2019 and 4 percent in 2020. The minimum salary for adjunct professors would increase to $1,000 per credit rate in 2019. The following year, it would increase to $1,100 in addition to the planned 4 percent increase for faculty and staff. Tuition for students in the medicine program could raise by 3 percent for Virginia residents and 5 percent for non-residents. Dentistry tuition would increase by 4 percent for all students, and pharmacy students’ tuition would increase 2.5 percent. The budget also increases the cost of on-campus housing, dining plans and parking rates. The state is contributing $121 million in funds for the construction of a new STEM building on Monroe Park campus. VCU will acquire no debt from the project expected to open in Fall 2022 replacing the Franklin Street Gym. Students have the opportunity to give their opinion on the budget at the Board of Visitors Budget Workshop on March 21 at 12:30 p.m. in James Branch Cabell Library. Students can also add their comments to the online portal between March 21 and April 26 at president.vcu.edu/board/open-comment-portal/.